This grain-free granola is the best granola ever. 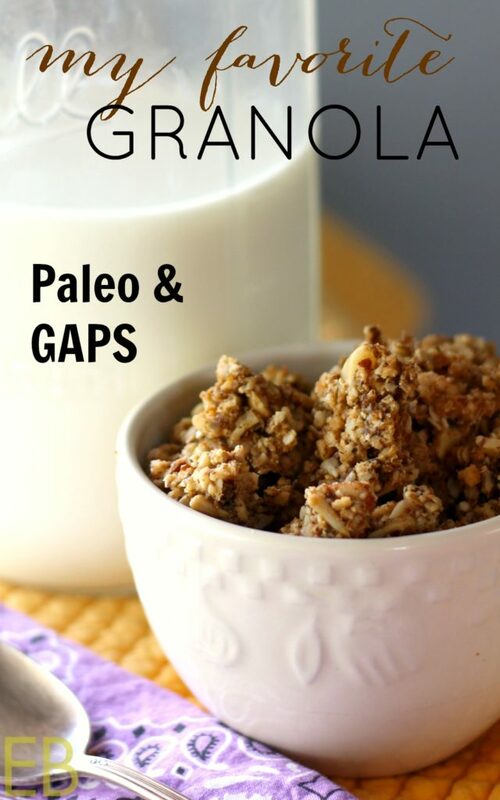 You’ll seriously never need another Paleo/GAPS granola recipe. This one has the best texture, the best digestibility, great macronutrients and the best flavors. My kids get a little naggy when I haven’t made it for a while. 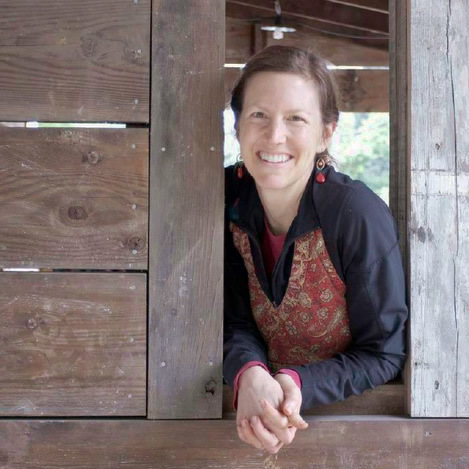 I was a vegetarian for 10 years, (until, during my second pregnancy, I craved meat so badly I couldn’t ignore it any longer). During those ten years I ate granola every single morning for breakfast, with only a handful of exceptions. It was my favorite food, and I made it homemade. I also tried several store-bought brands. Truth be told, my favorite granola was the Quaker brand I’d grown up with, because it was made with lots of fat; so it crumbled just right in your mouth, unlike the fat-free granolas that were soon to emerge on the market. For lunch most days as a vegetarian I ate whole grain bread topped with a hugely thick spreading of peanut butter and good quality jam or honey. I loved seeds and nuts and dried fruit and grains, but never could get enough. My youngest likes to play the “What Would You…” game. One of his favorite questions is, “If you were stranded on a deserted island for the rest of your life what 10 foods would you choose to have on the island with you?” We all love thinking about food, so we gladly comply. For me, sprouted nuts, chunky muffins (like these blueberry ones or these winter squash ones), dried fruit and this granola with raw milk are always considerations. I love these foods. I love nuts; I love seeds, I love fat. I love the texture of the foods as they crush and crumble in the mouth. I’m sure you’ve eaten a lot of granolas in your life. There are those where each oat is separate from each other oat, or perhaps two or three cling to each other. UGH>keep those away. Not interested. There are those with small clusters of oats that stick together a bit. Some of these are very crunchy, usually the ones that are made with fruit juice and not enough fat. Neither their flavor nor their texture nails it. There are those with good clusters of broken oats and a nice texture; but they are very sweet, too much sugar. And then there are those granolas that are close to perfect, pretty good, but not great. They may get soggy in your milk, break up a lot, or be too this (chewy) or too that (crunchy). And then there’s this recipe. It’s the best granola I’ve ever eaten; and it’s grain/oat-free! The clusters are as big as you want them, always of importance. Some are quite big, huge chunks of granola bar. Some are small, as small as you like, because you can break it up into your desired size before storing it. The texture is granola-sublimity! 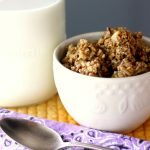 It completely holds its shape in milk; the clusters stay like granola bar chunks. But when you put it in your mouth it breaks up just right; it crumbles under pressure. That sensation! The flavor…is happiness, seriously: it’s the perfect sweetness; it’s satisfying; it’s pleasurable. It’s nutty. And yet, it tastes like classic granola. You can make this granola with any nut BUT I highly recommend Brazil nuts. They’re the best source of selenium, which is great for thyroid health and great for general detoxification. The nuts soak overnight (easy-peasy) before you make this recipe, so their nutrients are bio-available and easy to digest. But from a flavor and texture perspective, Brazil nuts have finally found their calling! You know, at Christmas time, when there’s a bowl of nuts out, which ones always get picked over and left behind, right?! I used to eat them because I felt sorry for them: the Brazil nuts. They’re big; and their texture is kind of mealy and weird. They can never be chewed down all the way because of their unusual fiber-chew. But then this granola came along recruiting. As it turns out, Brazil nuts create THE superior texture in this granola. I’ve tried other nuts, and I’m happy to say that it’s Brazil nut’s day in the spotlight. Not only are they selenium and detox king, they also rock the crumble texture of this most pleasurable breakfast, lunch and snack food. you’re sensitive to this seed; but flax is part of what puts this recipe over the top. The fat in the seed helps to create that perfect crumble texture. The alternative still turns out yummy, for sure. 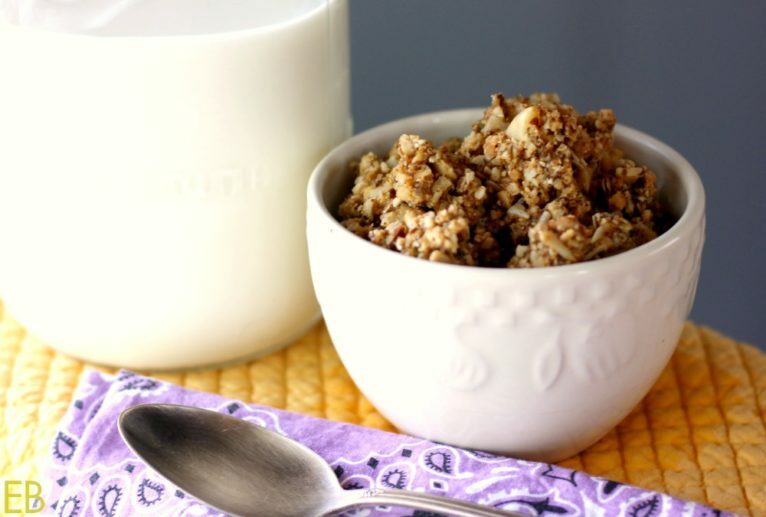 I made a hazelnut-cassava version that we all liked and fought over (not really, but almost)… and yet, if we’re going to be very snobby about the best of the best granola, I hope you get to make the very original version with Brazil nuts and flax. Behold: the Pomegranate Smoothie Bowl … with this granola! Hold on to your hats. One of the YUMMiest ways to eat this granola is in this amazing and unusual Pomegranate Smoothie Bowl: You’ll love the ingredients!! I hope you get to make this vegetarian-turned-meat-lover’s-favorite-granola-for-her-whole-life! I know you’ll love it and never need another! Working in 2 batches place wet, rinsed, (soaked) nuts into blender and pulse to create a meal. Only a few bigger chunks will remain. Dump the nuts as you go into a large mixing bowl. Repeat with the sunflower seeds. Use a spatula to scrape them all into mixing bowl with Brazil nuts. Add all remaining ingredients into bowl: fruit puree, maple syrup, melted fat, flax meal, chia meal and cinnamon. Mix well to thoroughly combine. Grease dehydrator sheets or two large baking pans (if you're dehydrating in the oven). 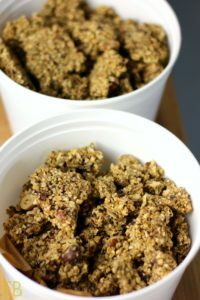 Spread granola out into a 1/2" chunky layer. Set dehydrator or oven to 140 degrees. Dehydrate until granola is dry on top but still a bit moist underneath. Use an offset spatula to flip big sections. Return granola to dehydrator until totally dry and crispy. Break into large and small chunks and allow to cool completely before storing in airtight containers. How to Soak Nuts for Better Digestion~ it's easy! For every 4 cups of raw seeds or nuts, cover with room temperature, filtered water by two inches, and 2 tsp. sea salt. Stir well to dissolve the salt. Leave out overnight at room temperature to soak. Drain them in a colander; and rinse them well. 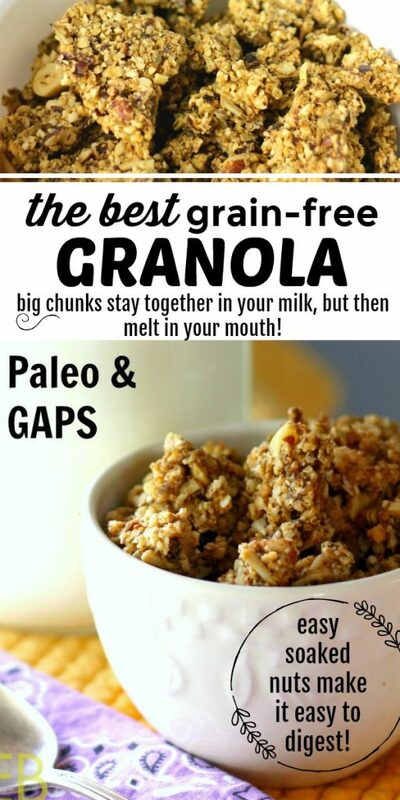 Gosh we make granola every month or so and I never think to add flax or chia! Great idea! I LOVE granola, I need to make some. I love that you used watermelon puree as the fruit puree, so fun! Mmmmmm! Brazil nuts! What a fun addition. I love them. Now I know what I am going to use for my raspberry seeds when I deseed them for making jam. Granalo! Yay!! That sounds like a glorious use for them!! Great idea. Could you make this without the fruit and chia seeds? Or at least without the chia? I need to make it fit GAPS.. Yes, it’s the same with all melons. They’re in their own category with cucumbers. 🙂 Blessings!